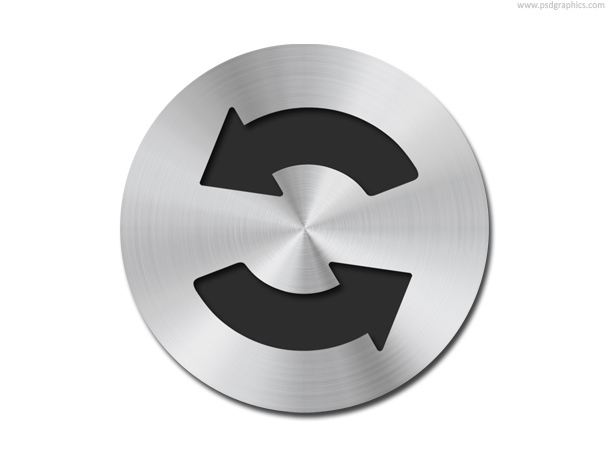 Silver sync and refresh button, round metal button with two arrows, download PSD format. White control buttons, all directions buttons and OK button in the middle with green light illumination. Login and logout door web symbols. Open brown door with a purple and blue arrows pointing out and in, download in PSD format. 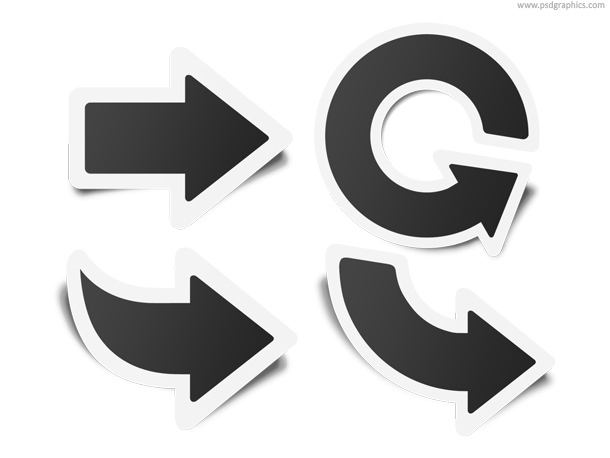 Black and white arrows stickers set, web design elements. Set of different variations, download in PSD format.